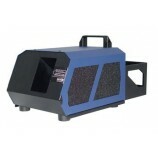 The new ATMe is the evolution of the world-famous Atmosphere, the industry standard professional haze generator. 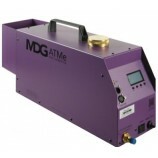 Mainly used in TV and theatre the MDG Atmosphere ATMe is a high class machine using a mixture of MDG Haze fluid and Co2 to create an ultra fine vapour. As the MDG qoute goes 'The finest haze on the market.... Just got better' exceptional results at the tip of your finger. 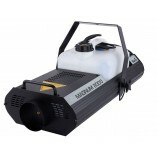 The Unique hazer is a high performance, water-based hazer that requires no cleaning and is extremely reliable. The pump and fan can be adjusted separately in steps of 1%-99%. Heat-up time is only 60 seconds and the unit is practically silent. The unit comes with 2 litre tank, enough for 50 hours of continuous output at normal haze setting. It’s a water-based haze machine with true continuous output. 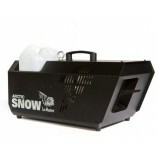 It features adjustable blower output speeds and directions to get the haze where you need it. The low fluid indicator gives a warning before running out of fluid. Control is via DMX or the included wired, timer remote which stores conveniently in the fixture. 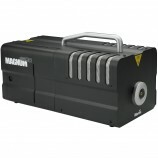 The Magnum 1800 is a high-powered fogger suitable for any installation - from the largest to the smallest. Highly flexible, the 1800 is built sleek and rugged. 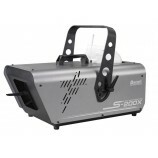 With onboard DMX control, the Magnum 1800 uses an 1150 W heat exchanger to produce a massive 580 m3 of fog. The delivery of a continuous and even level of fog and the incorporation of soft-start electronics means that the Magnum 1800 operates at a very low noise level. Built rugged, the Magnum 1800 includes the option to fly the machine. Supplied with a timer remote control and featuring the same machine-saving overheat protection as Martin’s larger machines, the economically-priced Magnum 1800 will provide years of maintenance-free operation. The Glaciator X-Stream houses a remarkably powerful compressor, allowing colossal fog output levels. And because of its advanced, electronically controlled expansion valve, it has a rapid freeze down time and a fast recovery when fired. This means the Glaciator X-Stream runs continuously, - almost infinitely, with a cool ease. Its chassis design; with two high velocity fans and smart-flow ventilation, also keeps the Glaciator X-Stream ticking in environments of high ambient temperatures. And keeping an eye on internal components is done with an unparalleled simplicity using the Glaciator X-Stream’s Internal Diagnostic Assistance. Featuring a Power Save System when passive, The Glaciator X-Stream is conscientiously efficient with energy and sound, and its cooling fans have a low noise operation when idle, benefiting theatrical and Studio applications. The Glaciator X-Stream also has the option of an external fluid supply; allowing voluminous levels of heavy fog fluid to be stored up to 100 meters away from the unit and at a depression of up to 6 meters. Where silence is golden and space is rare, the Glaciator X-Stream’s remote ducting system allows you to place the unit up to 10 meters away from its application area. 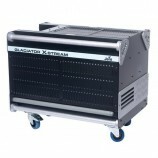 A great solution, the remote access system does not in any way compromise the Glaciator’s X-Stream fog output density! 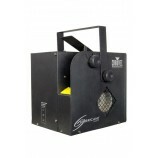 The DNG-100 converts normal fog from any fog machine (suggested models below) into a floor-hugging cloud of dense, white fog that’ s almost virtually similar to the dry ice effect. This is achieved by cooling the temperature of the fog to the point where it falls to the ground. The DNG-100 is easy to operate as there are no external controls on the machine. 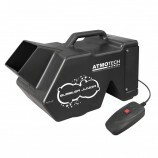 Simply plug the unit IN and place the fog conducting hose from the output of any fog machine to the input of the DNG-100. The unit is fully operational upon being plugged IN. 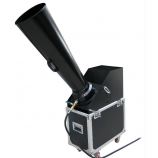 Note that the volume of fog produced is controlled by the fog machine that the DNG-100 is attached to. 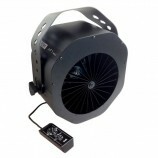 The AF-1 features DMX as standard and can be installed from the ceiling, in the truss, or can be floor standing. 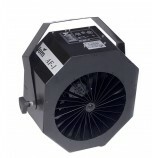 The AF-1 Mk2 features DMX as standard and can be installed from the ceiling, in the truss, or can be floor standing. 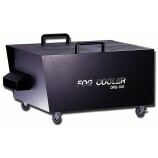 This compact bubble machine is ideal for many applications including childrens parties, mobile dj's, schools and venues. 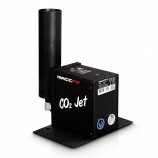 With a 1.2l tank this has an impressive output which is controlled via an in built fan unit and a double wand which sends the bubble into the air.